Warning: This show contains Ninjas, not magic. 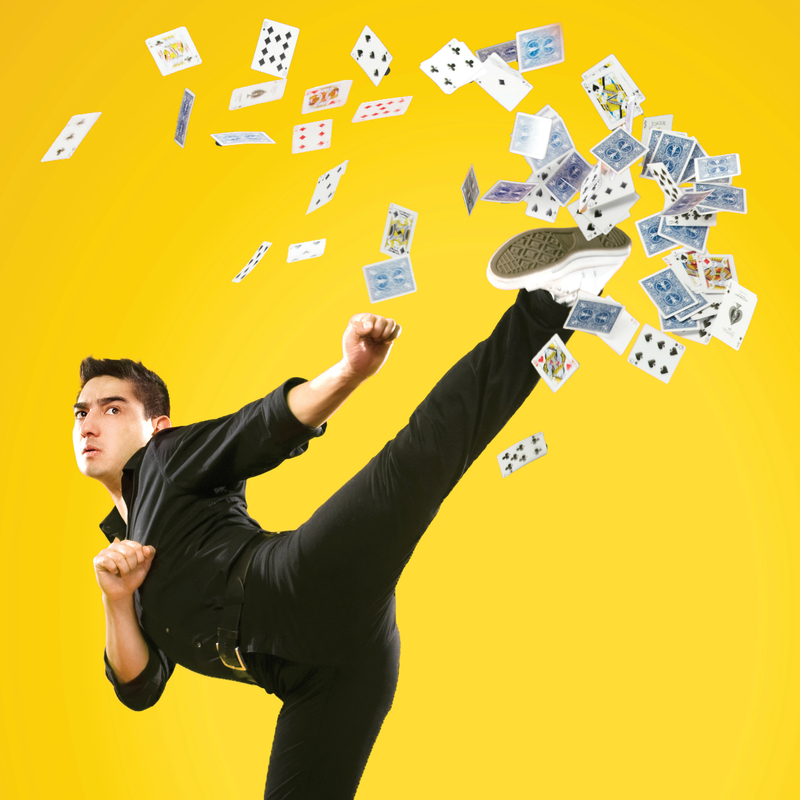 A riotous display of Ninja skills, comedy and card stunts that follows one man on his quest to become a Ninja using nothing more than ordinary playing cards as weapons. Expect risky and deadly fun: the Card Ninja possesses extraordinary skills, far greater than simple sleight of hand! Fun for kids, teens and adults, Card Ninja's eye-widening mastery of precision, speed and power is a must-see! "Some of the best sheer fun one is likely to have at the Fringe... this deserves to be seen!" ★★★★★ Glam Adelaide. "You will laugh and come out a better person" ★★★★★ Perth Happenings. "Card Ninja is ridiculously fun and a completely immersive show" ★★★★★ Hi-Fi Way: The Pop Chronicles. Sold out run Edinburgh Fringe 2018. Gilded Balloon was established in 1986 and is one of Scotland’s leading entertainment producers. As one of the largest and longest running venues at the Edinburgh Festival Fringe, the Gilded Balloon is respected internationally for presenting a stunning annual showcase of comedy, theatre, music and cabaret. Gilded Balloon presents a year-round programme as well as touring successful productions across the UK, the USA and Australia, and houses over 170 diverse productions in three major festival hubs in August. Gilded Balloon is famed for its flagship productions Late’n’Live and So You Think You’re Funny?, the most influential new comedy talent competition in the UK, which has seen Dylan Moran, Peter Kay, Johnny Vegas, Russell Brand, Graham Norton and Alan Carr enter and achieve success.